Cook like the professional chefs. 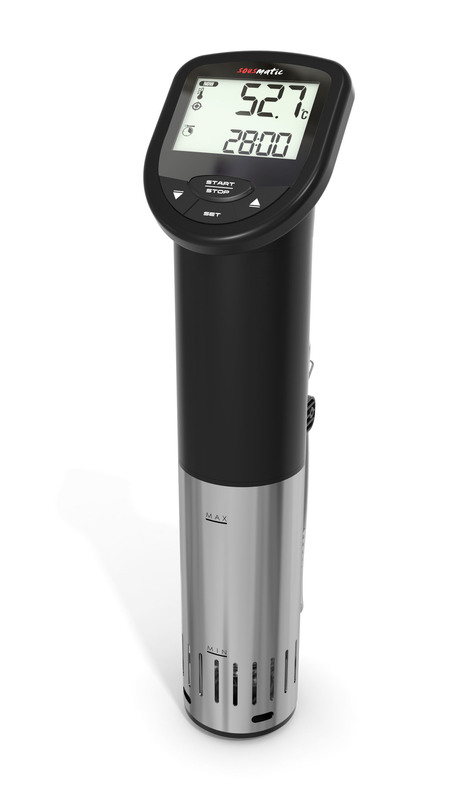 Bring sous-vide cooking method from the top-class gastronomy into your kitchen! 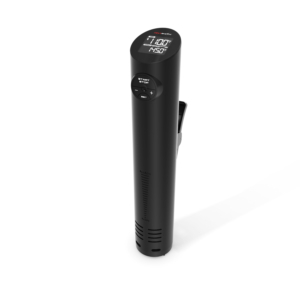 Celebrity chefs worldwide rely on this gentle cooking method to get the perfect flavours and aromas. The ingredients are previously sealed with herbs and spices in a vacuum bag and cooked in a low temperature water bath, typically 45 to 85 degrees. So no liquid escapes, everything becomes juicy, tender and perfectly cooked with 100% guarantee of success. 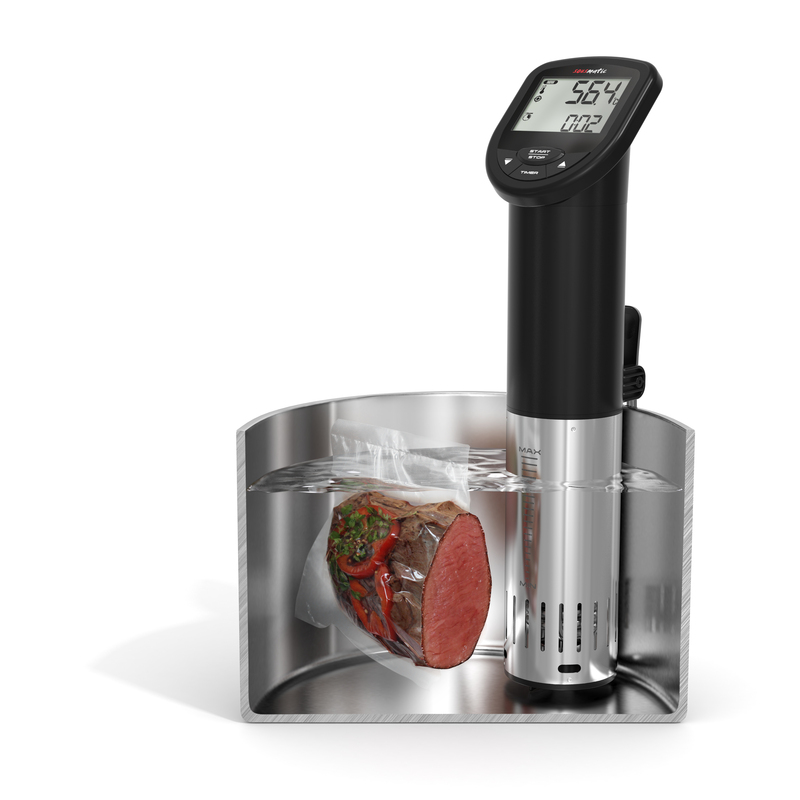 The SOUSMATIC sous-vide cooker impresses with its easy handling: the device can be attached to most household pots and containers, it can be programmed automatically and it’s quick and easy to clean after use and thanks to its compact design, it can be stored away without taking too much space.